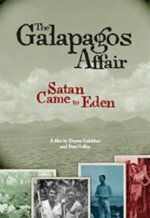 The Galapagos Affair: Satan Came to Eden release date was Friday, April 4, 2014. This was a Limited in theaters release. Featuring the voice performances of international stars Cate Blanchett, Diane Kruger, Connie Nielsen, Sebastian Koch, Thomas Kretschmann, Gustaf Skarsgård and Josh Radnor, this film interweaves an unsolved 1930s murder mystery with stories of present day Galapagos pioneers (a handful of Europeans, Americans and Ecuadoreans who settled idiosyncratically on the Islands between the 1930s and 1960s). From the makers of Ballets Russes and Something Ventured. The Galapagos Affair features newly-discovered vintage "home movie" footage of the protagonists in their Galapagos surroundings and other extraordinary archival material not seen in over 70 years.